Cautious optimism is the mood today at Greater Phoenix’s leading architecture and design firms. Hard hit by the economic downturn and fallout in formerly readily available financing for commercial projects, firms have found varying ways to come to terms with the economy. Tightening staff numbers, focusing on new kinds of projects and teaming with other architectural businesses are among the strategies employed. More than 2,000 are members of the state’s American Institute of Architects chapter based in Phoenix, a membership that includes practicing architects, students, contractors and other design affiliates; many more are in this highly specialized field that demands years of education and training. Fees for design and accompanying construction documents can range from the minimal (for smaller build-outs) to multi-millions for large-scale developments. 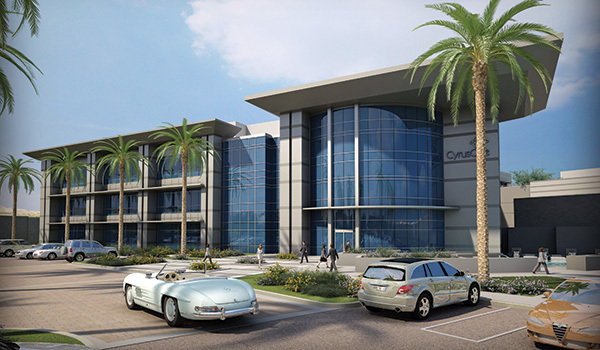 In Phoenix, several industries are generating demand for architectural services. On the residential side, multi-unit housing has seen an uptick. 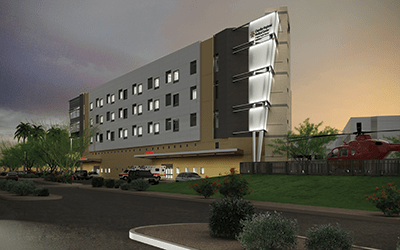 Healthcare expansion and remodeling projects that keep organizations competitive are growing segments (hospital construction, remodels of existing facilities, senior healthcare facilities, medical office buildings and the like). 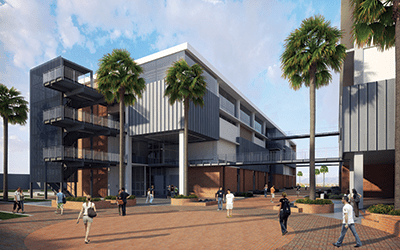 Design/build of private and charter schools, hospitality outlets (restaurant and hotels) and specialized big box buildings are actively being commissioned, too. Rebecca Olson, architect and director of Westlake Reed Leskosky’s Phoenix studio, where 50 percent of projects are in healthcare and the other 50 percent are cultural, saw a climb in billings during the first half of 2012. This has now stalled somewhat. She attributes it to the firm’s healthcare clients reviewing the implications of healthcare reform: Grander projects have been delayed while smaller remodels, reflecting re-organization, are more typical. Orcutt/Winslow Partnership’s director of marketing and business development Kristine Mower finds that healthcare organizations are actively developing rehab facilities and senior living projects. “Many facilities have been waiting a long time to do renovations because of the uncertain economy,” says Mower, explaining this created pent-up demand for not only renovations but also upgrades to meet new standards required by healthcare reform. 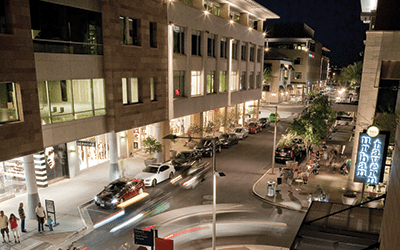 At Nelsen Partners, specialists in hospitality (restaurants and hotels) and mixed-used developments (phase three of Scottsdale Quarter is in progress), principal and managing director George Melara, A.I.A., finds market diversification is a proven strategy. “Different markets vary; while one is hot, we can leverage one off the other,” he says. “And we have clients with national presence that take us to other locations and projects.” An ongoing source for commissions is the restaurant business: Either new openings or renovations are a constant. 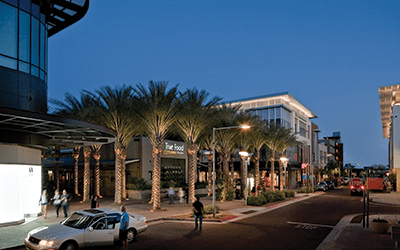 Mixed-use developement at Scottsdale Quarter by Nelsen Partners ©Nelsen Partners, Inc.
Hotels, too, especially in Arizona’s competitive market, often look to refresh properties, ideally timing it with the off-season. Nelsen Partners is now overseeing a long-planned renovation of the Four Seasons Scottsdale’s Crescent Moon restaurant, which is closed for the summer months; the schedule is compressed, as the hotel wants to re-open with the new restaurant concept in time for high season. As architect Patrick Hayes of PHArchitecture describes it, “Phoenix was one of the epicenters of the construction downturn. Commercial real estate took a big hit,” he recalls. Although his firm has downsized, the company’s focus has evolved. Re-purposing older buildings, giving them face-lifts outside and tech upgrades inside, is now one area of expertise. Distressed buildings, such as the 180,000-square-foot former Honeywell Building that sat empty for several years, are creatively re-purposed by PHArchitecture. Improvements at the Honeywell site included the addition of windows and a new entry façade, which helped make the building appealing to 21st-century tenants. Urban Tavern restaurant at Scottsdale Quarter designed by Nelsen Partners ©Nelsen Partners, Inc.
Another evolution for the company was on the industrial building side. After a significant investment in sophisticated Billing Information Modeling digital software that allows for an integrated, 3-D approach to spatial relationships and building documents, Hayes has tackled and won data center design projects. “I started chasing the project two-and-a-half years ago,” says Hayes of the CyrusOne commission, a one-million-square-foot computer server farm and office project. Phoenix has become a hot spot for data centers because of its lack of natural disasters — important to building these mission-critical structures, explains Hayes. One design and energy-efficient addition Hayes made to the often-standard big box structure: an angled butterfly roof (resembling the upward wing motion of a butterfly), which has helped lead to a second data center complex assignment. 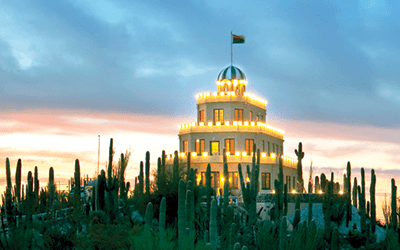 Because of Phoenix’s newness, the city has no specific signature architectural style. New design is part of the look that’s defined by “a lot of glass and steel and shade canopies; it’s more high-tech,” notes Hayes. 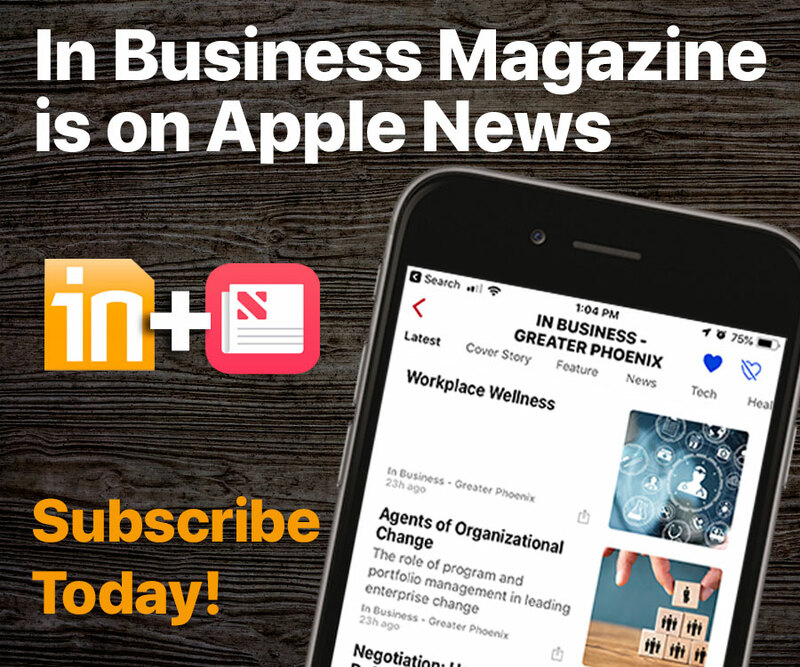 As Rebecca Olson sees it, Phoenix is an emerging area for talented designers who often work from a blank slate, “There’s an appreciation for good design in Phoenix,” she contends.